If you are living with sensitivity of your roots due to a receding gum line, you no longer have to live with the discomfort or appearance of a receding gum line. In the past, when you had your gum line repaired, it would require a gum grafting surgery. While the surgery is effective, it is quite painful and invasive. 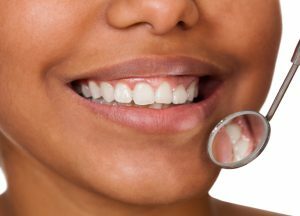 Now, your cosmetic dentist in Jacksonville, Dr. Larry Young, has an alternative to gum surgery. Using Chao Pinhole Surgery, you will restore the health and appearance of your gums using a quick and minimally invasive procedure. With this advanced new technique, there is no need for cutting or sutures. It is quick, easy, and instantly pleasing. What is the Chao Pinhole Surgery Technique? Dr. John Chao developed the Pinhole Surgical Technique as an alternative to traditional gum grafting. The Chao Pinhole Surgery is an incision-free, minimally invasive procedure used as an alternative to gum grafting. Using specialized instruments, a small hole is made to loosen the gum tissue, which is then transferred to the area of gum recession. What are the Benefits of Chao Pinhole Surgery? Many patients have come to prefer this procedure because it is effective and simple. As a minimally invasive alternative option for gum surgery, you benefit from no bleeding, swelling or pain for a faster recovery. In addition, there are no incisions or sutures required. You will see immediate cosmetic results for a healthier, more attractive smile. We can treat multiple teeth at just one appointment with a fast recovery time. How is Chao Pinhole Different? Conventional gum grafting requires gum tissue to be removed from the roof of the mouth, which then must be sutured closed. The gum over the area of recession is then opened and lifted. The tissue that was removed from the roof of the mouth is then placed under the flap of gum and sutures will hold the graft in place, allowing it to heal. With the Pinhole Technique, gum recession is treated without cutting or stitches. Instead a small pinhole is made into the gum to create an entry point. Then, a special dental instrument is placed in the hole to free the gum tissue with gentle movements. Once free, the gum tissue is gently guided down into a healthy positon. Once in the right potion, collagen strips are placed into the pin hole to stabilize the gum. Recovery is fast, often overnight. Dr. Larry Young strives to provide his patients with the most advanced dental technologies and procedures to enhance patient care and comfort. With the Chao Pinhole Surgery, you can resolve the discomfort and appearance of a receding gum line to regain an attractive smile. If you are ready to restore your gum line without needing incisions or sutures, it is time to learn more about the Chao Pinhole Surgery. Contact Larry Young Dental today to schedule a consultation. Dr. Young will help you regain a beautiful, confident smile through a restored gum line.